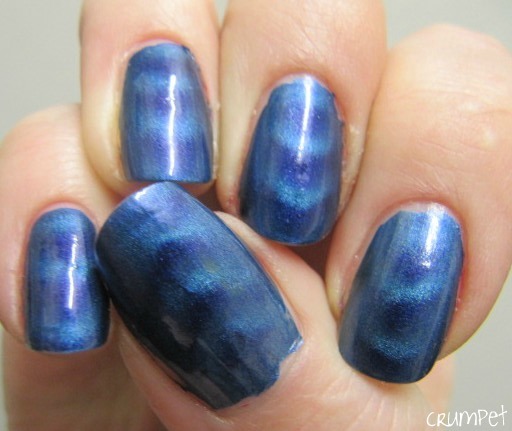 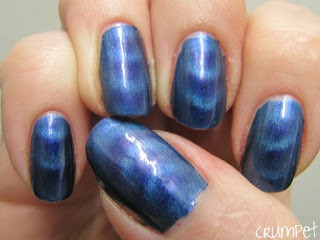 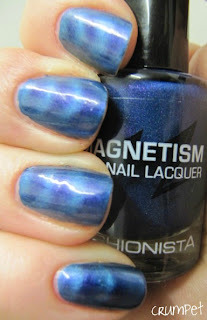 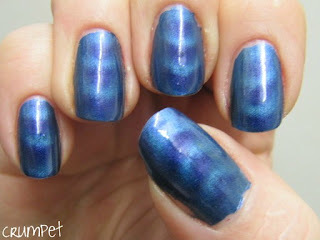 Here is the 3rd of my 4 posts on Fashionista’s magnetic polishes. You can see the red here, and the green here. 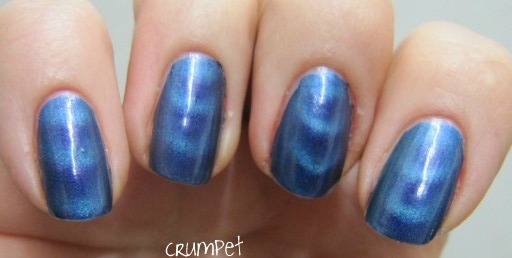 They are only £5 for a 10ml bottle – well priced – and they cover in 1 coat and clean off *effortlessly*. So far I have loved the red and the green (I am saving the purple) but I have to say, I am a little underwhelmed with the blue, and that’s a REAL shame. 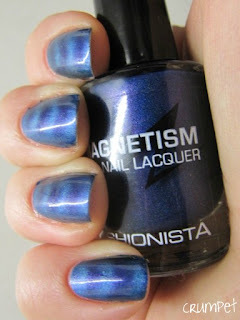 In the bottle, this is gorgeous. A deep and darkly vibrant blue (but not yet navy) this has certain petrol tones to it, and in the bottle there’s a subtle violet shimmer. On the nail, this just doesn’t translate, and I ended up with a paler denim blue and then a deeper blue which wasn’t as amazing as what I could see in the bottle. 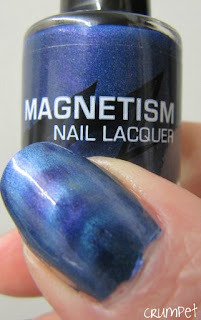 This had by far the weakest magnetic impact of the 3 I’ve tried so far, and that I think is the reason it has failed to light my fire. If it had reacted more, I think the contrast would have been better and the darker blue possibly richer and more varied. 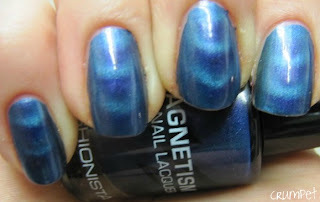 I have a feeling this might be going in somebody’s swap box soon, not because it’s a failure, but just because a blue has to be extra special to catch and keep my attention.